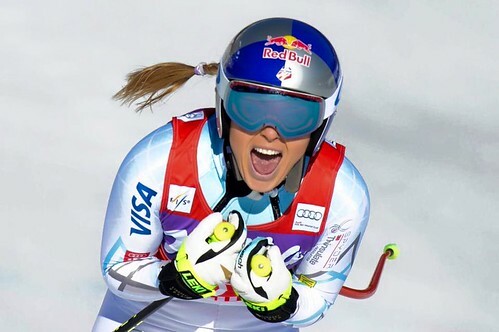 Racing in her final Olympic downhill race, four-time Olympian Lindsey Vonn (Vail, Colo.) won the bronze medal, leading three Americans into the top-seven Wednesday at the 2018 Olympic Winter Games at the Jeongseon Alpine Centre. 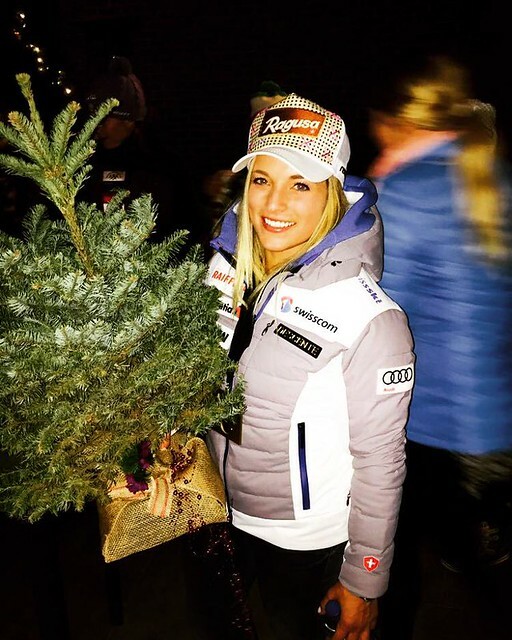 One mistake cost Lindsey Vonn (Vail, Colo.) a shot at another Olympic medal. 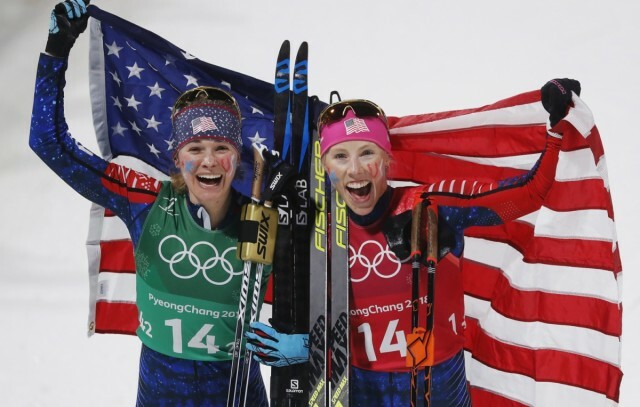 But it was one fast snowboarder who took a second Olympic super-G gold away from Austria’s Anna Veith. New day, same result. 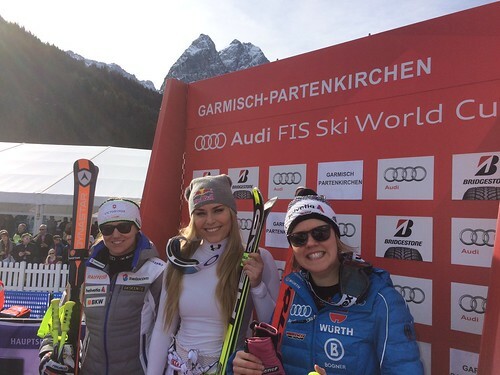 Lindsey Vonn crushed the Kandahar downhill course in Saturday’s Audi FIS Ski World Cup at Garmisch-Partenkirchen, Germany to take her record 76th World Cup victory. 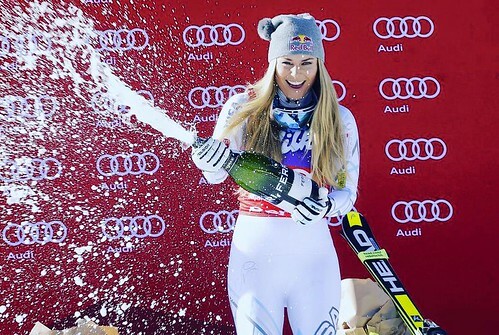 Lindsey Vonn hoped to extend her World Cup win streak to 76 and her overall Audi FIS Ski World Cup lead in Saturday’s giant slalom Saturday morning in Maribor, France. But a soft, sugary course got the best of both her andSwitzerland’s Lara Gut, her top competitor, in the hunt for the overall title. Unstoppable Lindsey Vonn notched still another Audi FIS Ski World Cup victory, number 75, Sunday in super G and moved into the overall World Cup lead. 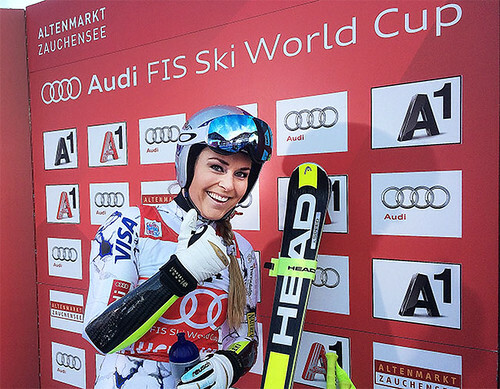 Lindsey Vonn smashed yet another record Saturday in Cortina, winning her 37th Audi FIS Ski World Cup downhill. 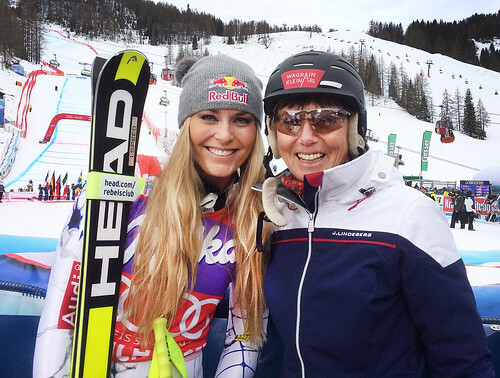 On the track where Vonn broke the all-time World Cup win record last season, the American superstar battled wind to take the win and break Annemarie Moser-Proell’s record of 36 downhill wins. It was a tough day for Lindsey Vonn (Vail, CO) and Megan McJames (Park City, UT) in Sunday’s Audi FIS Ski World Cup giant slalom in Flachau, Austria..
Lindsey Vonn extended her super G win streak to four with a commanding victory over her top rival Lara Gut in the hunt for the overall World Cup title at Sunday’s Audi FIS Alpine World Cup at Altenmarkt-Zauchensee, Austria. 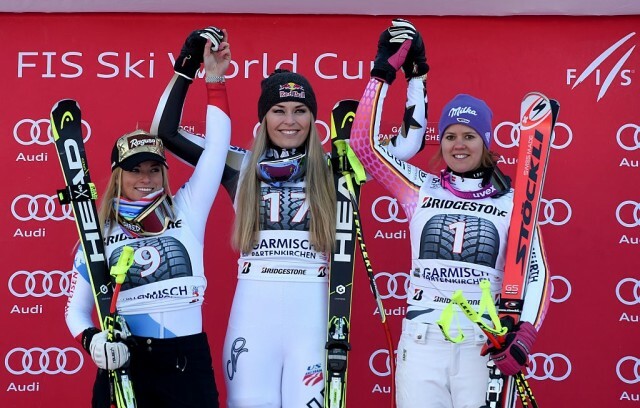 It was the American superstar’s 73rd overall World Cup victory. 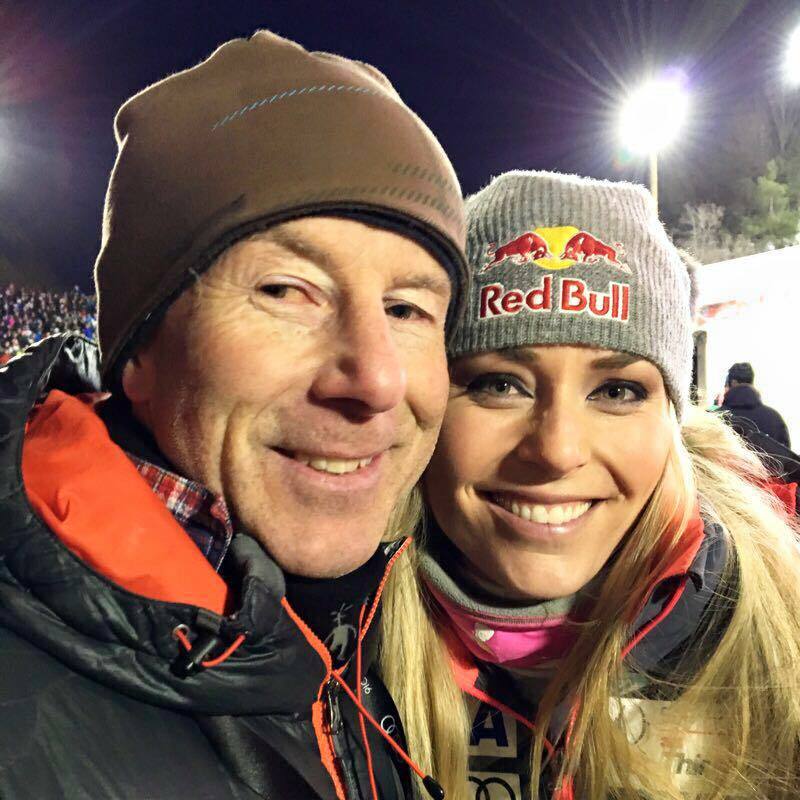 American Superstar Lindsey Vonn, who clocked the fastest time in the opening run, put a strong second run together to lead the rest of the pack by at least one second. 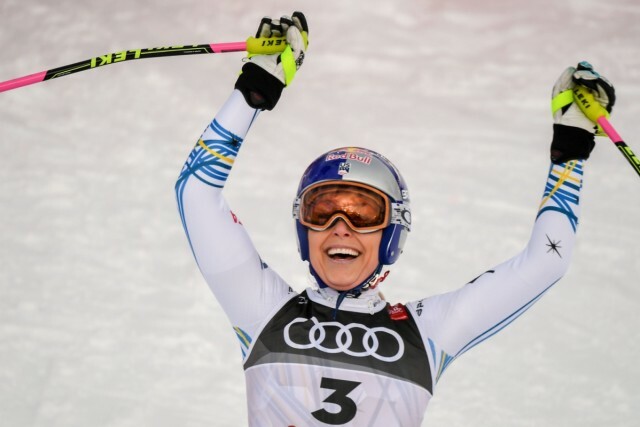 She crossed the finish line with a combined time of 2:11.17 to clinch her 36th career World Cup win, equalling Austrian Annemarie Moser-Pröll's downhill record. The unusual downhill race included two sprint runs at Altenmarkt-Zauchensee, Austria. 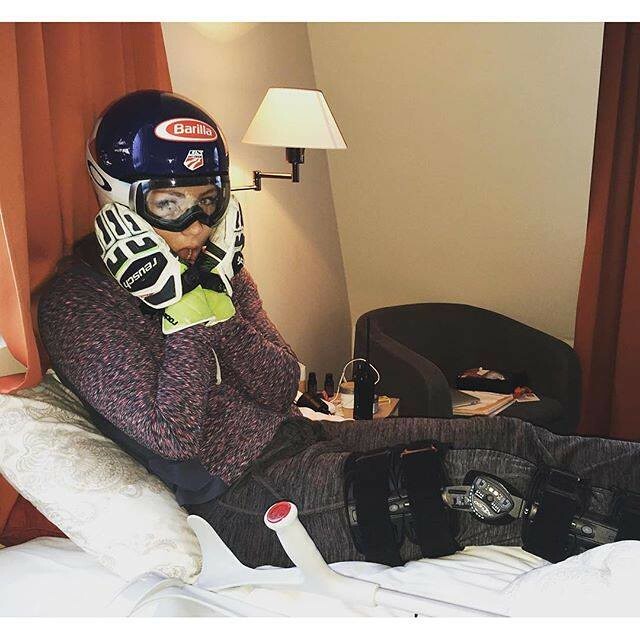 Lindsey Vonn’s bid for a record-tying downhill victory hit a bump in the snow Saturday. Vonn, the current overall World Cup leader, was .13 faster than Switzerland’s Lara Gut at the first split time when she hit a bump midway down the Audi FIS Alpine World Cup downhill course in Val d'Isere, France and briefly became airborne. There are still a few opportunities to pad the Christmas stocking for the world’s best alpine skiers. 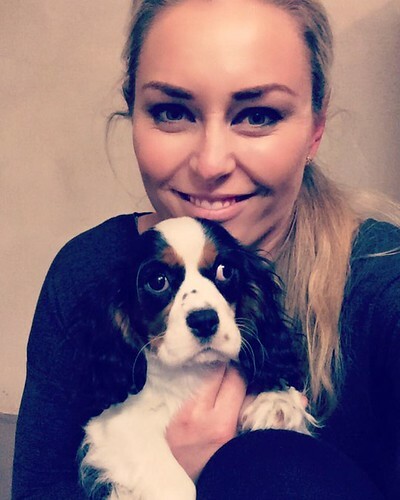 Lindsey Vonn won her first giant slalom Saturday at Are, Sweden since her near career-ending 2013 World Championships crash. 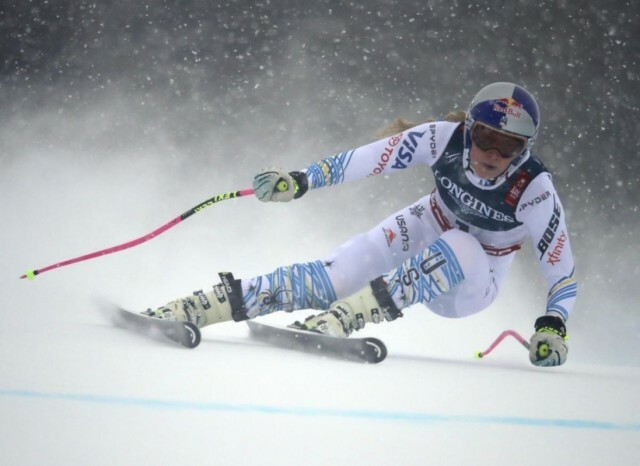 Lindsey Vonn triumphed at Lake Louise by bagging a hat-trick. After winning both legs of a downhill doubleheader, she totally dominated the first super-G race of the World Cup season Sunday. The seemingly unstoppable American didn't let anyone come close.